If you've found yourself walking around London much lately, you'll probably have spotted a stunning array of rainbows decorating the streets. 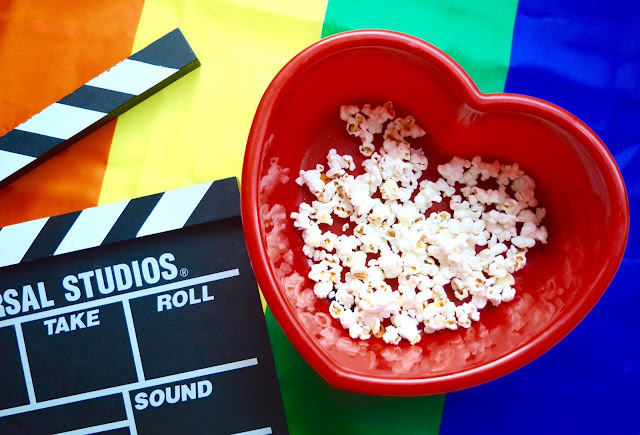 With June being all about celebrating the LGBT community, I thought I'd put together a short list of my some favourite films which embrace love. 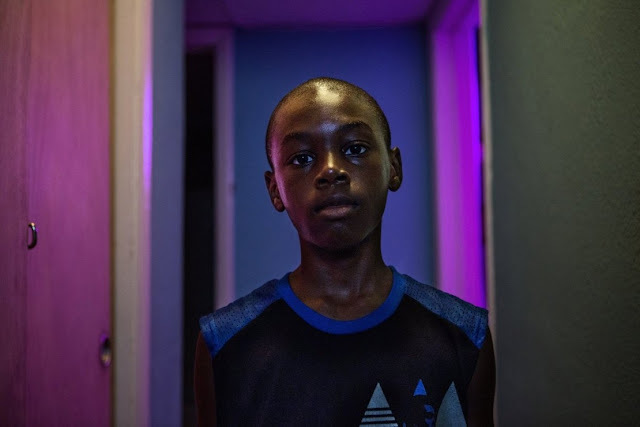 Moonlight (Barry Jenkins, 2016) Chiron (Alex Hibbert) is a shy and reserved young man forced to deal with a dysfunctional home life during the "War on Drugs" era in Miami. Told via three defining chapters of his life (child, teen and adult), Chiron experiences a rollercoaster of joy, pain, and beauty whilst falling in love and coming to terms with his own sexuality. Oscar controversy aside, Moonlight is one of most powerful narratives to come out of Hollywood in a long time. To portray the uncensored struggles of a young gay male is moving enough but it is made all the more moving through the eyes of an unaccepting black community. This story needed to be told and Moonlight does so beautifully. As well as having some fantastic performances, the cinematography is also truly stunning and it is an absolute must-see. Call Me By Your Name (Luca Guadagnino, 2017) - In the summer of 1983, 17-year-old Elio Perlman (Timothée Chalamet) is vacationing at the family villa in Italy. 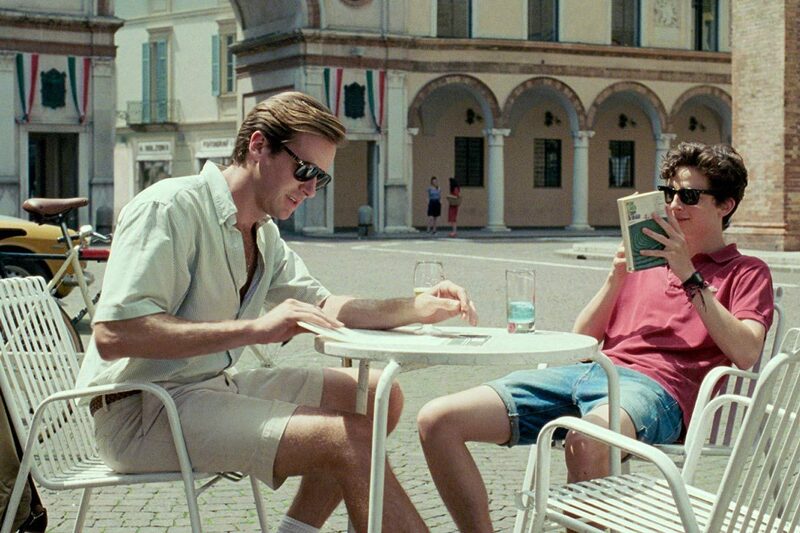 He soon meets Oliver (Armie Hammer), a handsome doctoral student who's working as an intern for Elio's father. Despite their surroundings, the pair quickly form a relationship that will alter their lives forever. Another emotional entry in to this list, Call Me By Your Name so rightfully received praise at the London Film Festival and received recognition from the Academy for it's incredible storytelling. The film is a full-hearted romantic masterpiece. Strap yourself in for a rollercoaster of joy and devastation. Blue is the Warmest Colour (Abdellatif Kechiche, 2013) - Adèle (Adèle Exarchopoulos) is a schoolgirl whose life is transformed when she meets Emma (Léa Seydoux) - a blue haired woman who takes her on a journey of self discovery. Having fallen in love, their relationship allows Adèle to grow but also suffer a heavy loss. Certainly not for the timid, and with some rather graphic sexual scenes, Blue is the Warmest Colour owes a great deal of its success to the mesmerising performances of its leading ladies. Moving yet heart breaking, it is a beautifully shot and well told narrative. Carol (Todd Haynes, 2015) - Belivet (Rooney Mara) is an aspiring photographer who meets Carol (Cate Blanchett) whilst working at a department store in 1950's New York. Having quickly formed a bond, the two enter in to a love affair with complicated consequences. 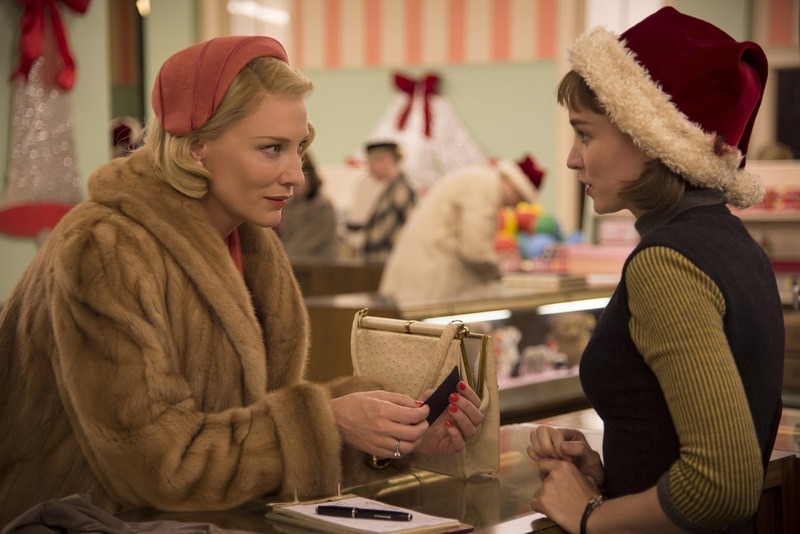 Besides some stunning and Oscar worthy performances from Mara and Blanchett, Carol is visually one of the most beautiful films of 2015. Shot on 16mm film, it just oozes style and totally embodies the era. All in all, Carol is a fantastic film about longing, loss and love. My Beautiful Laundrette (Stephen Frears, 1985) - In a rundown corner of London, Omar (Gordon Warnecke) is an ambitious, young Pakistani-Brit who inherits a laundromat business from his uncle. However, having suffered racist abuse from a local gang, Omar enlists the help of his former lover, Johnny (Daniel Day-Lewis). Rekindling their romance, the pair set out to rehabilitate the laundromat together - despite the social conventions fighting against them. Naturally, Daniel Day-Lewis steals the show in this diverse and edgy drama. 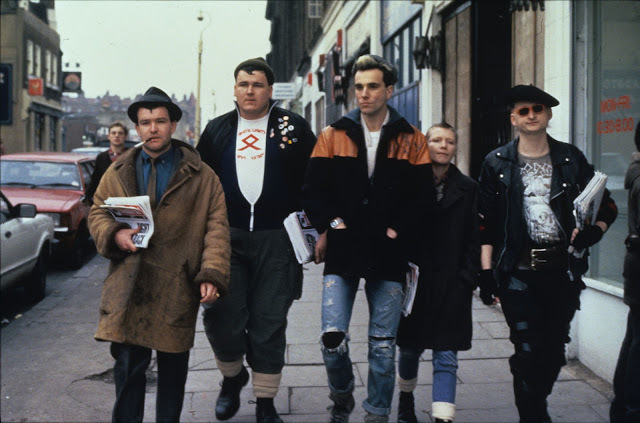 As one of the first British films to come out of the iconic Film4 movement of the 1980s, My Beautiful Laundrette is skilfully directed and incredibly provocative for its time. Whilst it may have aged over the years, it's message still stands today. The Adventures of Priscilla, Queen of the Desert (Stephan Elliott, 1994) - Drag queen, Anthony (Hugo Weaving), decides to take his act on the road, bringing along a fellow cross-dresser Adam (Guy Pearce) and transsexual Bernadette (Terence Stamp). Travelling in a colourful bus named Priscilla, the three performers travel across the Australian desert in the hopes of wowing unsuspecting (and often homophobic) Aussie locals. However, when Adam and Bernadette learn that Anthony has been hiding a secret, their friendship is put to the test. The Adventures of Priscilla Queen of the Desert is truly stunning. Though sometimes devastating, it is a hilarious yet powerful, enthusing and highly intelligent film. 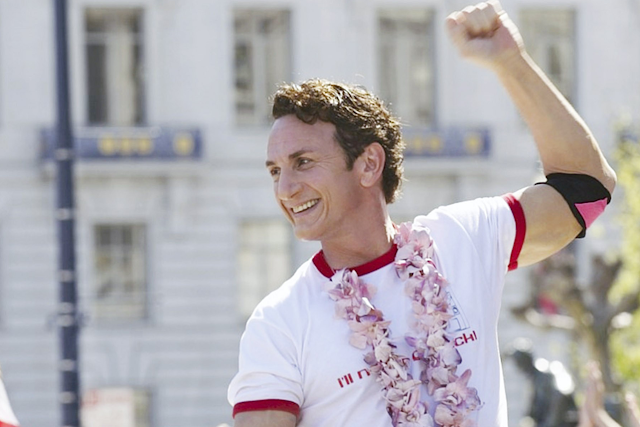 Milk (Gus Van Sant, 2008) - Based on real-life events, Harvey Milk (Sean Penn) leaves New York for San Francisco in 1972. Settling in the Castro District, he opens a small business and becomes active within the gay and lesbian community. In 1977, he becomes the nation's first openly gay man elected to a notable public office when he wins a seat on the Board of Supervisors and makes history. When I first saw this film in the cinema, I went in with no prior knowledge or expectation. I was blown away. Above all, Milk is a devastating story of hope. Penn gives a stellar and moving performance which so rightfully earned him an Oscar for Best Actor in a Leading Role. I Love You, Phillip Morris (Glenn Ficarra and John Requa, 2010) - Based on true events, I Love You Phillip Morris follows Steven Russell (Jim Carrey) - a successful cop and devoted, Christian family man. However, following a near death experience, he vows to live his life to the fullest. Coming out of the closest, he moves to Florida to pursue a luxury lifestyle through criminal means. Soon finding himself in prison, Steven meets fellow inmate, Phillip (Ewan McGregor) - the love of his life. Once free, Steven is determined to build a beautiful life with his lover and embarks on another crime spree. OK so not technically a film exclusively about sexuality but it still counts. Jim Carrey gives a fantastic performance in this hilarious comedy drama. He is so wonderfully versatile. I wasn't expecting it to be so entertaining and, combined with some truly very sad moments, it makes for the top of my favourite LGBT films. You'll laugh, you'll cry - you'll love it. Paris Is Burning (Jennie Livingston, 1990) - Focusing on drag queens living in New York City, this documentary explores the 'house' culture of African-American and Latino gay and transgender communities. Capturing a sense of community and support, it showcases the hardships and lives of the flamboyant and often socially shunned drag performers. Groups from each house compete in elaborate balls that take cues from the world of fashion. Also touching on issues of racism and poverty, the film features interviews with a number of renowned drag queens, including Willi Ninja, Pepper LaBeija and Dorian Corey. You may have heard this film mentioned on Drag Race on several occasions but it really is a must-see. Originally constructed in the 1980's, the film is a thought-provoking exploration of race, class, gender, and sexuality - all of which is just as relevant today. Check it out on Netflix if you get a chance. Dallas Buyers Club (Jean-Marc Vallée, 2013) - Based (loosely) on the life of Ron Woodroof, Matthew McConaughey stars as a straight yet promiscuous lowlife who discovers he is HIV positive in 1980's Texas. Struggling to come to terms with his fate and given just 30 days to live, Ron turns to the black market in a fight for his survival. 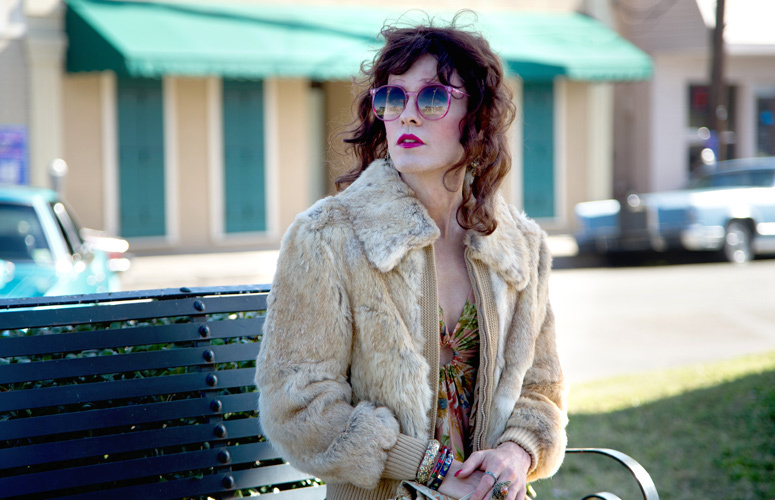 Joining him on his journey of self discovery is Rayon (Jared Leto) - a transgender prostitute also suffering with AIDS. It's hardly surprising that McConaughey and Leto both took home Oscars for their outstanding performances in this film. With some truly devastating and powerful scenes, there is never a dull moment in this must-see biopic. 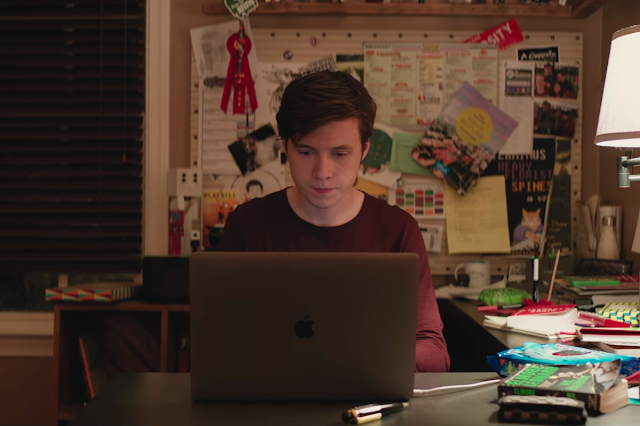 Love, Simon (Greg Berlanti, 2018) - Simon (Nick Robinson) is your average high school senior. He has a fantastic home life, he's doing well in school and a great group of friends. But he's harbouring one big secret - he's gay. When he starts a private online relationship with a fellow schoolmate, his secret soon comes out and Simon is forced to share his secret before he's ready. This witty high school teen rom-com is exactly what 2018 needed. It's as funny, sentimental and smart as it is endearing. Steeped in John Hughes nostalgia, it is all about being true to yourself. It;s important to recognise that this is queer cinema at its most everyday. Well, that's it for my favourite LGBT films. Of course, honourable mentions go to A Single Man (Tom Ford, 2009), The Kids Are Alright (Lisa Cholodenko, 2010), Brokeback Mountain (Ang Lee, 2005) and Pride (Matthew Warchus, 2014). But tell me, what are some of your favourite films celebrating the LGBT community? Are you celebrating LGBT month? As always, I love reading your comments so please do leave me lots of lovely comments down below. Until next time - love is love. In the US, the whole month of June is traditionally Pride month. Most of the big marches are scheduled at the end of June to coincide with the commemoration of the Stonewall Riots in Greenwich village, NYC which started on June 28, 1969. Dallas buyers club is such an amazing. Movie!! Ahh I love this post! Films are one of favourite things and films that tell important stories in a beautiful and cinematic way are some of the best. I haven't seen everything in this list so will definitely watch it! Also have you seen Get Real? That's very good too.